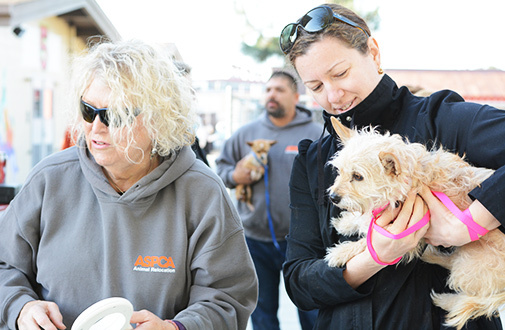 The ASPCA’s West Coast Relocation Team was in high spirits Tuesday morning, when more than a dozen staffers and volunteers came together to help prepare a transport of 20 dogs from Downey Animal Care Center in Los Angeles to the Humane Society for Southwest Washington. 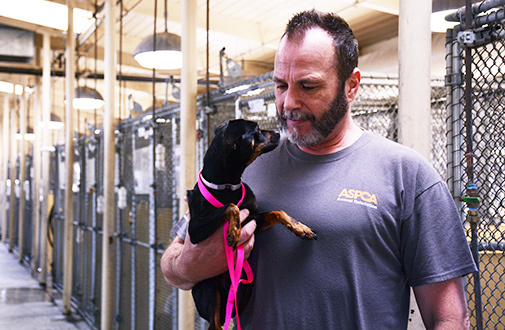 It was an exciting occasion not only because the relocation will give these animals a better chance at being adopted, but also because it marked an incredible milestone: The 1,000th animal transported in 2016. 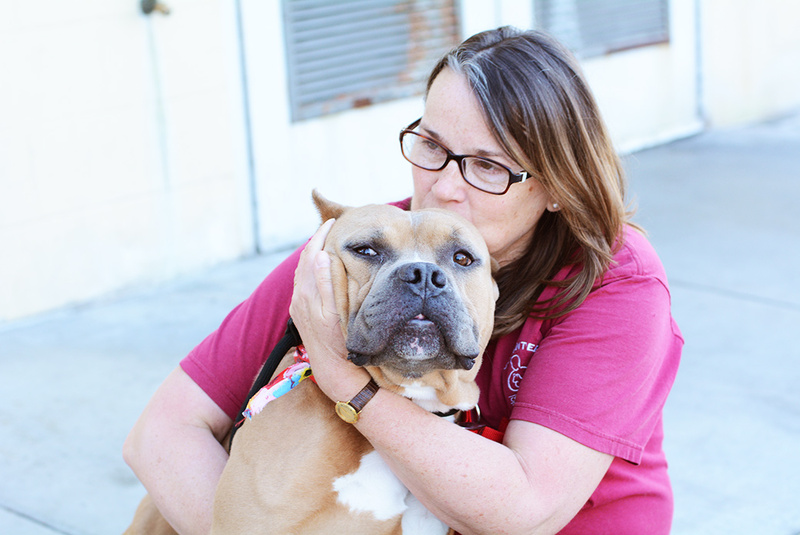 The dogs in the transport ranged from Chihuahuas to pit bulls, but the honor of “Mr. 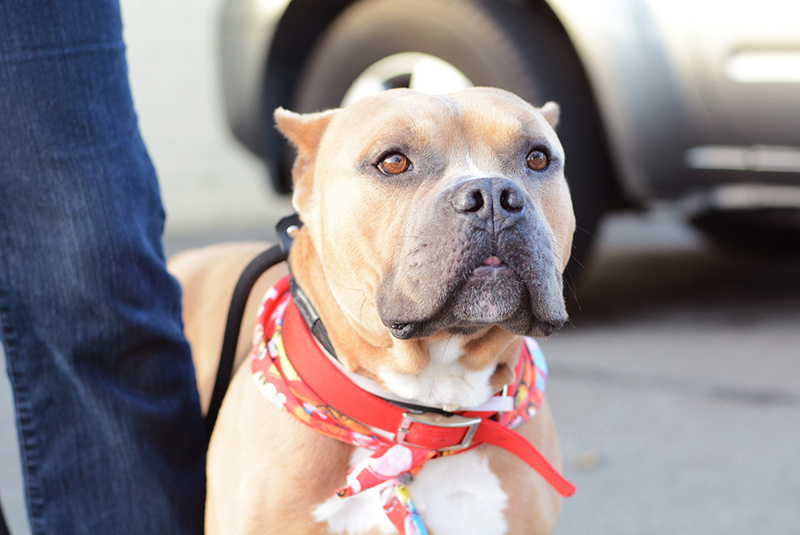 1,000” went to a sweet, gentle Staffordshire terrier named Teddy Bear—or Teddy for short. Teddy Bear, or Teddy for short. 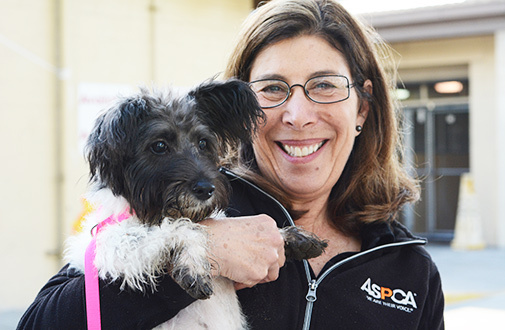 Two-year-old Teddy was found as a stray and brought to Castaic Animal Care Center in January, and he quickly stole the hearts of everyone at the facility. But despite his loving nature, Teddy was having a hard time finding a home in a sea of similar-looking dogs and an already overrun shelter system. Knowing this transport could save his life, Castaic staff and volunteers met our team at the Downey shelter to add him to our transport. In Southwest Washington, where there is higher demand for dogs like Teddy, our team is confident that he will find a perfect family soon. 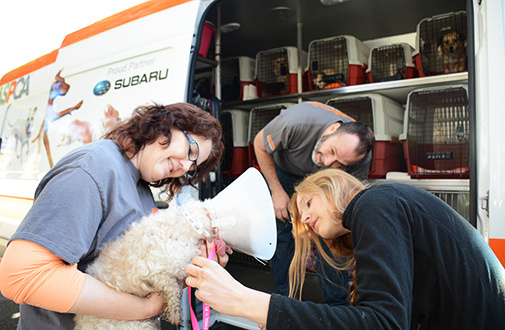 Volunteers load the dogs onto the transport vehicle. Left: Jill Buckley poses with Minnie, one of the dogs being transported to Washington. Right: Lance Hunter helps Oscar prepare for his ride. A fond farewell for Teddy. 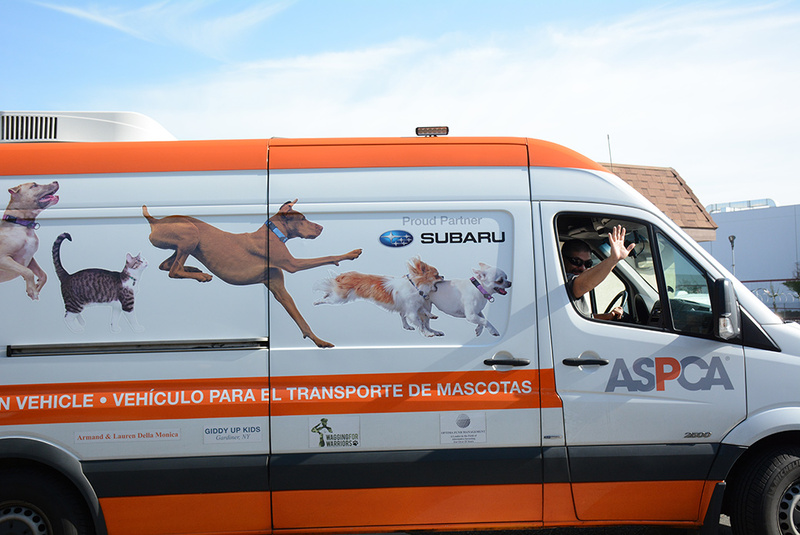 The ASPCA transport vehicle departs for Washington.